Hot off the heels of the stellar Deadpool table back in June, Zen Studios is going strong with its line of Marvel pinball tables. 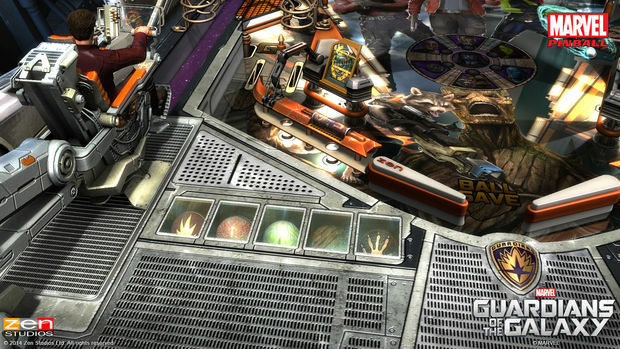 Guardians of the Galaxy finally got the film treatment, and now it has the pinball treatment. The movie is super rad, so you're probably wondering if the table is as well. It's probably a surprise to no one that Zen Studios delivered a fantastic table yet again. It may have something to do with the excitement over the film, but I think the Guardians of the Galaxy table may easily be my favorite yet. Zen Studios is always the master of what I like to refer to as cinematic pinball, and with the Guardians table the studio has gone entirely in that direction. The table flows in line with the plot of the film (which will not be spoiled here), starting at the point where the Guardians first all come together and have to escape the area they're in. This is emulated by a multiball of every character's ball wherein the player has one minute to hit as many marked ramps as possible. Once the characters "escape," the player has one shot to retrieve Starlord's missing tape deck by hitting the marked ramp, and if that's made a title splash fills the screen. At this point, the player hasn't launched a single ball yet and could already have a solid score to start with. It's only slightly different from the norm, but it really adds something overall in experiencing the table. The table design is top notch as ever; there's interesting contrast in the color palette, ramps crisscross over each other, and the table's art looks really nice. Zen was somehow able to incorporate all the interesting aspects of the film onto the table, and its respect for the source material truly shows. Starlord has an appreciation for '70s rock-and-roll and pop songs, and the soundtrack on the table is trying to pay homage to that. This was done incredibly well in the film, but Zen understandably did not license out any of those tracks. The original song used in the table is basically a really boring guitar riff played over and over until the player enters a mission and a different track plays. I had to turn down the music volume after awhile because I just couldn't deal with it. The table is good enough that the music shouldn't deter you from playing, however. 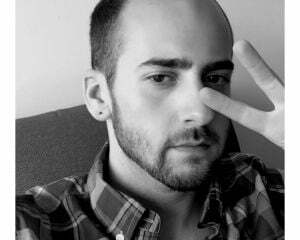 Everything flows really well, and does so quite quickly. I've never claimed to be any good at pinball despite how much I enjoy it, but I found this table to be pretty challenging. It's fairly easy to get a respectable score quickly, but I wasn't lasting very long soon after that. I haven't come close to completing all the missions in one go (or obtained a score to be proud of yet), but I'm well on my way. 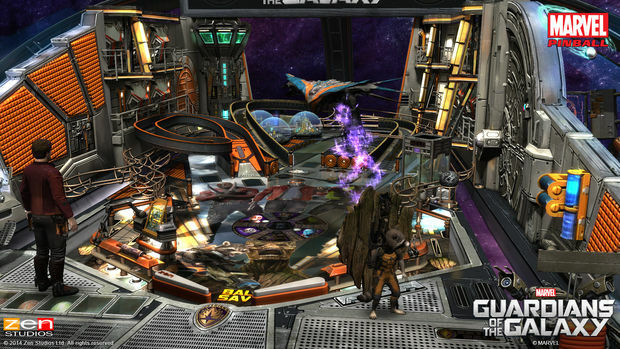 If you loved the film, are excited for the film, simply can't get enough of pinball, or want a place to start in Zen Studios' pinball catalog, I can't recommend the Guardians of the Galaxy table enough.